The DarkCrystal HD Capture Mini-PCIe solution is a PCI Express mini video capture card based on H.264 hardware compression delivering high definition recording and low CPU consumption. With the addition of an adaptor daughter board, capturing and receiving of additional HDMI, VGA, or DVI input sources provides greater flexibility and possibilities for monitoring, archiving or analyzing HD video content. The DarkCrystal HD Capture Mini-PCIe provides up to 60Mbps encoding capability and industry-leading HW encoding performance preserving crystal-like video quality while maintaining low CPU loading. To expand the scope of its applicability, the DarkCrystal HD Capture Mini-PCIe supports mainstream programming languages and is shipped with a Software Development Kit that includes frequently used functions such as de-interlacing, video cropping, image/video overlay, etc. It is endowed with a full array of functions that are required to perform HD video capture for industrial and commercial purposes such as PC gaming, event data recording, medical imaging, machine vision imaging, and other types of industrial imaging. 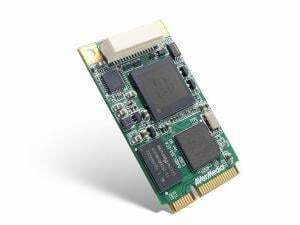 The DarkCrystal HD Capture Mini-PCIe is committed to shortening the development schedule and providing integrators with complete solutions for building their own applications.